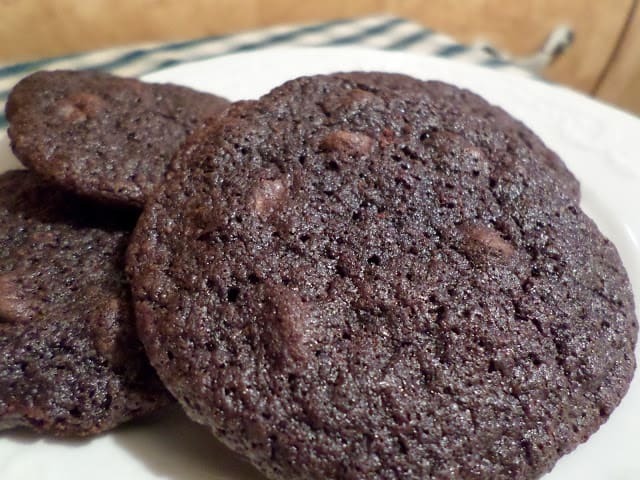 Double Chocolate Espresso Cookies are delicious. With pecans, chocolate chips, cinnamon chips and espresso, you can go wrong. 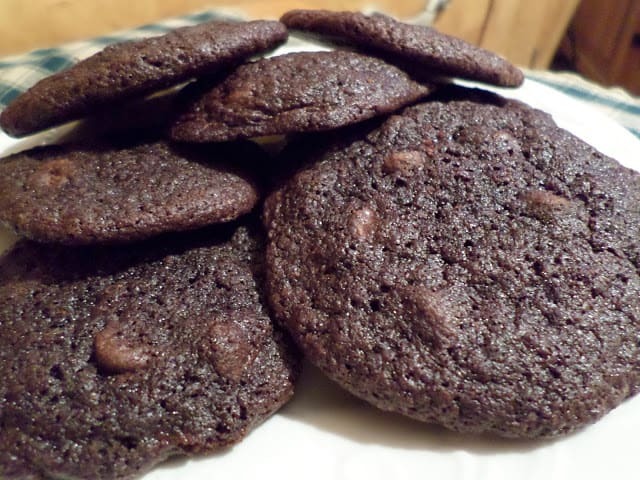 Taking a bite of these cookies is like sipping a cup of warm cinnamon, chocolate espresso. Espresso is a dark, strong coffee made by forcing steam or hot water through finely ground, Italian-roast coffee especially blended for making espresso. This form of beverage produces a thin layer of creamy, dark beige froth on the coffee’s surface. Espresso is served in tiny espresso or demitasse cup. An espresso doppio is simply a double espresso. Preheat oven to 350º Line baking sheets with parchment paper, set aside. Cream butter and sugars until light and fluffy. Add eggs, one at a time, beating well after each addition. In separate bowl, mix together dry ingredients: flour, cocoa powder, baking soda, salt and espresso powder. Whisk together to combine. With the mixer on low, slowly add dry ingredients and mix until combined, scraping down sides as needed. Do not over mix. Stir in chips and pecans. Drop by teaspoons onto baking sheet and bake 10 to 12 minutes.